Japanese student sporting a blunt bob and a sleek minimalist look while out in Harajuku at night. 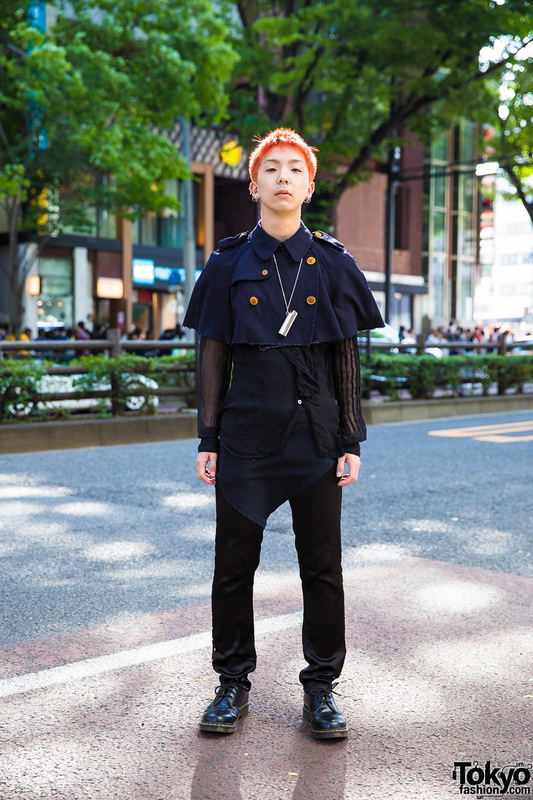 Harajuku student sporting an all-dark streetwear look while out and about one fine day. 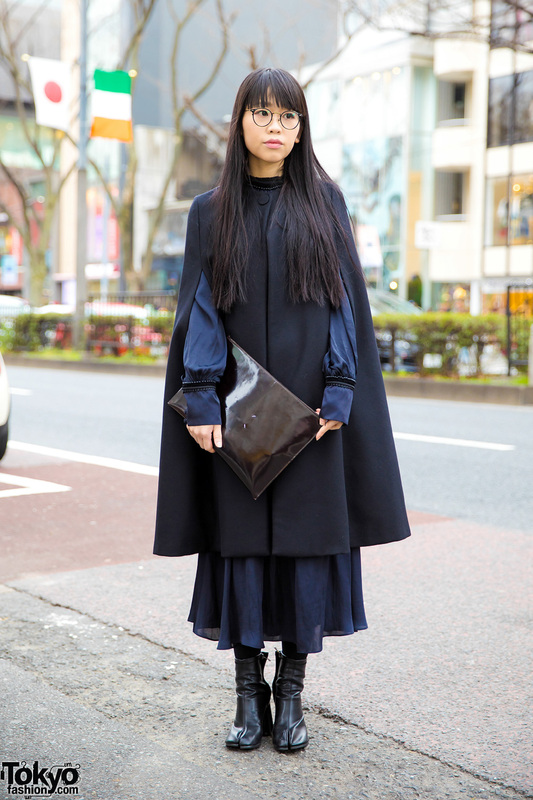 Harajuku girl sporting a chic dark minimalist ensemble while out and about on the street. 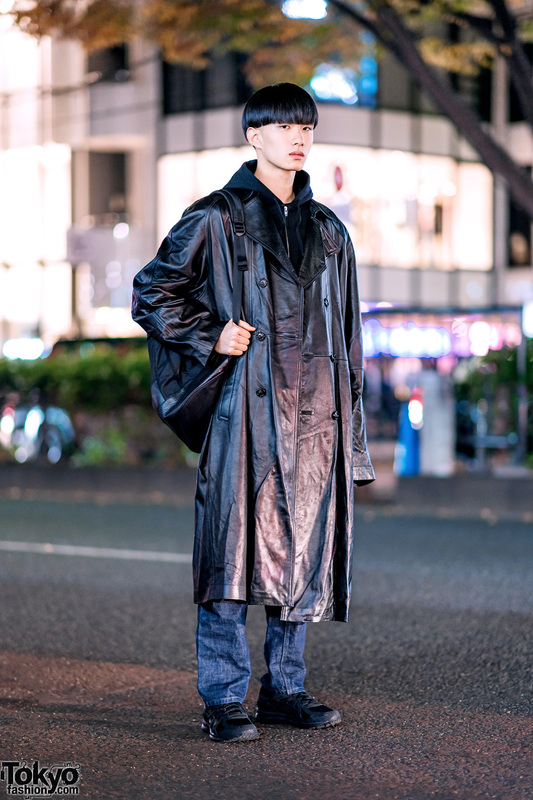 Harajuku trio in dark streetwear styles from Japanese, Korean, and international designers. New York Joe shop staff in vintage streetwear fashion while out and about on the Harajuku street. 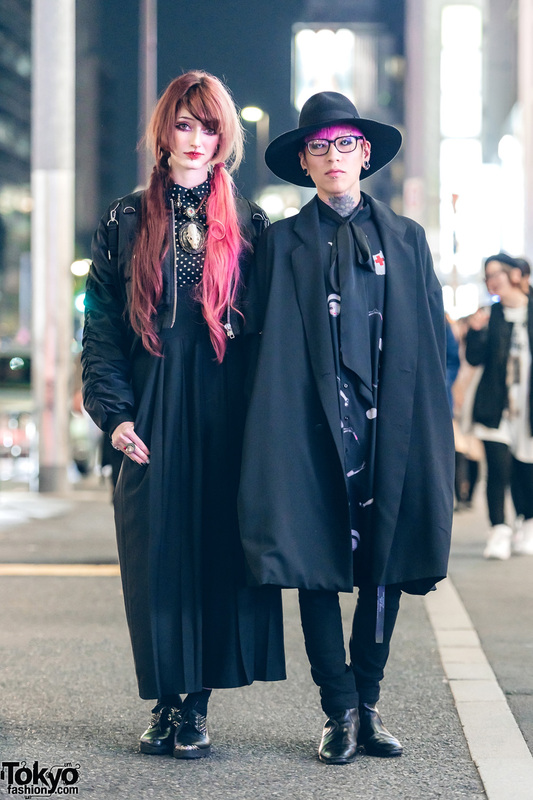 Harajuku duo showcasing dark street styles in Tokyo’s Harajuku neighborhood. Harajuku girls in dark streetwear fashion with fuzzy x sweater, cut out pants, platform creepers, fishnet top over bralette, skinny pants, platform boots, handmade sling bag, and a leather backpack. Japanese brand director dressed up for winter in neutral shades and faux fur while out and about in Harajuku. Harajuku student in all black ensemble with velvet blazer over ribbed turtleneck top, wide leg belted corduroy pants, ankle boots, leather tote bag and silver hoop earrings. Harajuku girl sporting all black fashion with cropped leather jacket over ribbed top, ribbed pants, platform lace up boots, chained purse and rings.